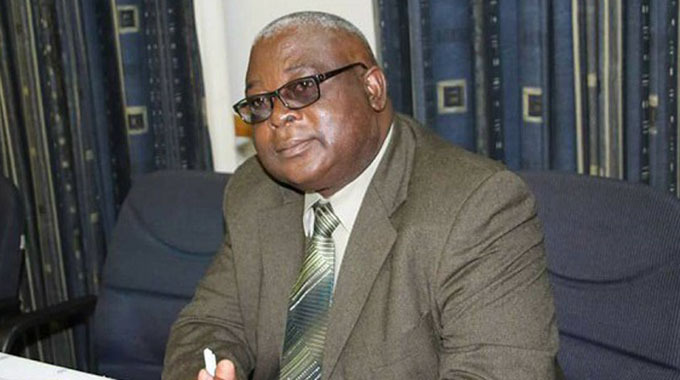 The party’s provincial congresses begin today with Matabeleland South making its nominations for standing committee members and Harare will be the last on April 16, a circular seen by The Standard has revealed. Mudzuri, who has kept his ambitions a closely-guarded secret, yesterday opened up on his bid saying he would contest any position, including the presidency, if he is nominated. “If nominated, I am prepared to challenge anyone,” he said. The former Energy minister dismissed reports that he had struck a deal with Chamisa where he would have backed the party’s 2018 presidential candidate to lead the country’s main opposition party. “The news report that made emphatic claims about a supposed deal between myself and Advocate Chamisa, is wholly untrue,” Mudzuri said. “No such understanding has been considered, much less reached. Mudzuri joins MDC secretary-general Douglas Mwonzora, who has also declared that he would challenge Chamisa if nominated. The MDC is currently holding branch, ward and district congresses ahead of the main congress to be held next month. The process has been marred by violence pitting Chamisa and Mwonzora’s backers. Mwonzora’s backers are claiming some party bigwigs are manipulating grassroots votes to ensure only those aligned to Chamisa would vote for the president at congress, a claim rejected by MDC organising secretary Amos Chibaya. Mudzuri yesterday condemned the violence and called for unity in the party. Meanwhile, the MDC has ordered officials eyeing various positions at its upcoming congress to stop using “pictorial advertising” campaign posters before they have been officially certified as nominated. Social media has been awash with posters of aspiring candidates vying for certain positions even before they have been officially nominated, forcing the MDC national organising department to step in to stop the practice. “At a meeting of the standing committee held on April 3, 2019, it was resolved that all aspiring candidates must with immediate effect cease using pictorial advertising to market themselves,” MDC Alliance deputy national organising secretary Bekithemba Sibanda wrote in a memo dated April 4. The memo is copied to MDC standing committee members, national executive and provincial executive members. “Aspiring candidates can only do so after they have been officially certified as nominated at the relevant congresses,” Sibanda added. MDC spokesperson Jacob Mafume said the directive was necessary to avoid a shambolic campaign process ahead of the congress. “We are saying, you cannot have people just waking up to put campaign posters, some for various positions ahead of being nominated, it’s shambolic,” Mafume said. According to the template, a candidate is eligible to contest for any position from ward up to national levels if they have served in the party for at least five years while branches have a minimum of two years. The MDC has been holding branch and district congresses that have, however, been marred by violence and allegations of vote-rigging, among other malpractices.